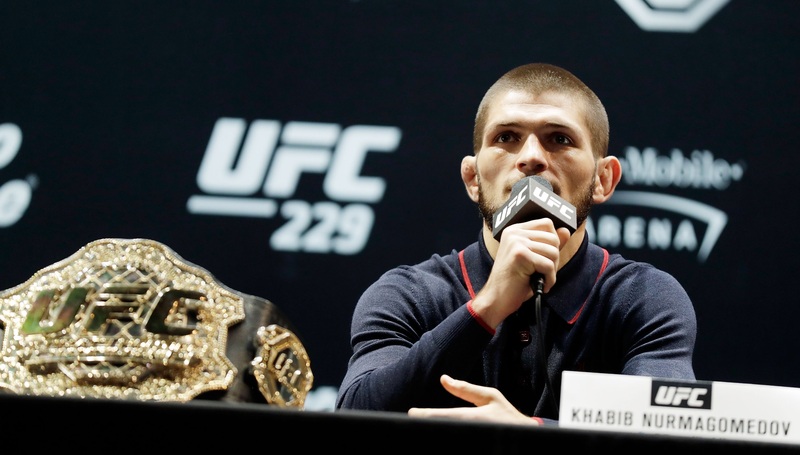 Khabib Nurmagomedov delivered the perfect riposte to Conor McGregor‘s tardiness by conducting his media duties and departing before the Irishman arrived, according to UFC president Dana White. The pair were due to hold a final news conference on Thursday ahead of their UFC 229 showdown in Las Vegas this weekend, but McGregor did not turn up for the scheduled start of 15:00 local time. Nurmagomedov refused to dance to McGregor’s tune, though, and turned up promptly, not hanging around long enough to wait for his bitter rival. Nurmagomedov’s actions took even White by surprise but he was full of praise for how the Russian handled the situation. “This one was not how we planned it to go down but, at the end of the day, with McGregor and all the mental warfare games going on, there’s the counter to it right there,” White said. “‘I’m here on time, I spoke to the media, I’m out of here, I’m not going to play your game and wait for you’, so this is all part of what goes on leading up to the fight. “They’ll both be at the weigh-ins on time and we’ll get the staredown when it actually matters. White wondered whether McGregor would return to the UFC after a lucrative foray into boxing last year to take on former pound-for-pound kingpin Floyd Mayweather. McGregor will end a near two-year absence from the octagon at the T-Mobile Arena on Saturday to take on an opponent who succeeded him as UFC lightweight champion. “When a guy makes $100 million you don’t know whether he’s ever going to fight again,” White said. “Conor made a lot of money, I’m sure he had a lot fun and did what he wanted to do but no matter how much money you make, you can only sit at home for so long before you start to go crazy. Mayweather-McGregor did 4.3 million pay-per-view buys, and White revealed what has been billed as the biggest fight in the UFC’s history could do similar numbers. That would obliterate the previous highest UFC record of 1.65 million buys for McGregor’s rematch against Nate Diaz in 2016. White added: “All the numbers are tracking higher than Mayweather-McGregor and this fight is a global fight, the whole world will be literally watching this fight. 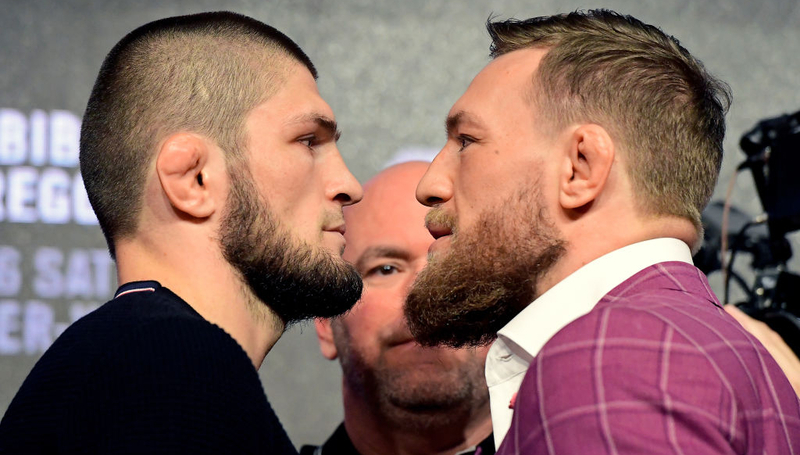 When you read up on the profiles of Conor McGregor and Khabib Nurmagomedov, you’ll no doubt discern that these are indeed two contrasting fighters, and men, in just about every detail. McGregor the man lives in a spellbinding space of virtual parody, yet it’s difficult not to be swept up by his enchanting Everyman charisma as the masses vicariously live out their wildest fantasies through him. He is, well, a man of the people, and his tale of Dublin rags to worldly riches has truly transcended him onto a platform of cultural icon status. 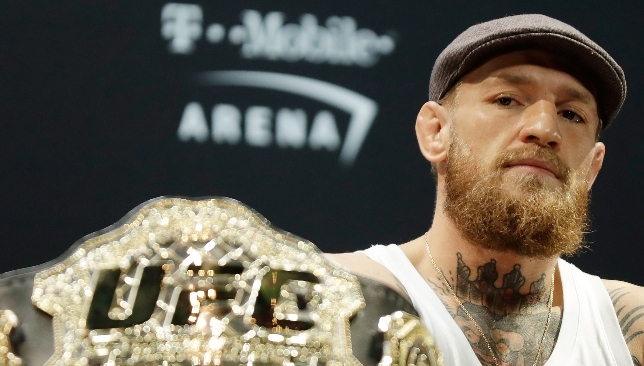 But part of McGregor’s appeal lies within the validity of his act and that presents a problem when the divisive Irishman is pushing – or hurling a dolly – through social boundaries. He is a tricky tangle of charm and crassness, the highly-skilled star that mixed martial arts so desperately needs to launch it into the mainstream consciousness, entwined with an unstable streak this already decaying society can do without being exposed to. However, perhaps McGregor’s lunacy – the misogynistic and foul-mouthed language, the unseemly UFC 202 press conference, the appalling interference at Bellator 187 and his gatecrashing of the UFC 223 media day – is part of the reason he has become the sport’s most important figure. By its very nature, MMA requires a splash of crazy because to stand opposite another fighter with bad intentions, demands a pretty savage mentality. For people on the outside of the cage, can we reasonably expect the same sanity of those on the inside? It’s not to excuse some of McGregor’s deplorable actions, but merely explain them. That same edge is why he made history as the first concurrent two-weight UFC world champion. It’s why he predicts first-round knockouts and then delivers on that promise. It’s why with each fight the 30-year-old hunts for the biggest challenge out there. The level of madness is what separates him from the rest, in every aspect. 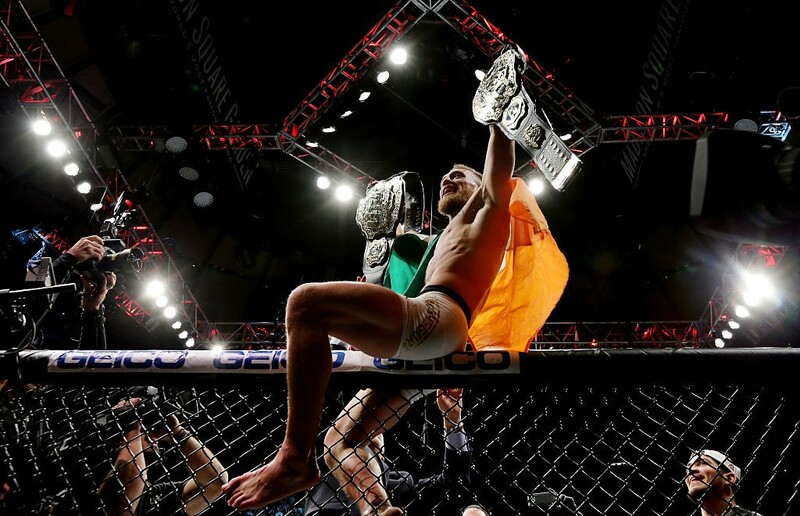 Admittedly, the line between McGregor the man and McGregor the fighter, is decidedly thin and the intersection is what ultimately may harm the UFC’s ability to harness crossover appeal like some of the other major American sports. Yet to blanket the crazy is to cloak his absurd ability and achievements. It is also why we are so invested in Saturday’s (main card UAE start time +1 06:00) UFC 229 headliner in Las Vegas’ T-Mobile arena alongside 155lbs champ Nurmagomedov. The contrast between the Dagestan destroyer and irresistible Irishman is so stark it makes for a compelling narrative. Nurmagomedov is a devout Muslim, his identity and life tied to his religion. He is a world away from McGregor, both literally and figuratively, a humble and rather withdrawn personality. You won’t see him engage in foul-mouthed trash talk or emit much emotion at all, but it is this trait which unites him with the challenger. Like McGregor, the line between Nurmagomedov the fighter, and Nurmagomedov the man is slight. He is unbeaten through 26 professional bouts (10-0 in the UFC) and has mauled practically every opponent without the disturbance of emotion. There is no talk, Nurmagomedov just delivers a cold and calm “smesh” like his personality suggests. And so, as fighters the two are indeed at opposite ends of the spectrum, archetypes of their own art, McGregor the knockout specialist with his “death-touch” left hand, Nurmagomedov a smothering and relentless Sambo wrestler. Yet for both, man and fighter are one and the same, the difference forming in their style. There is one other common quality to keep in mind ahead of their blockbuster showdown. Through their respective skills, the two have made the shocking become ordinary and one thing we can almost guarantee is a finish one way or another. True to the nature of this bout, it will arrive via two completely different avenues for either fighter. McGregor using his vaunted and violent left hand, or Nurmagomedov through his suffocating and soul-sapping ground and pound. They are both irresistible forces but worlds will collide when they take to the Octagon.